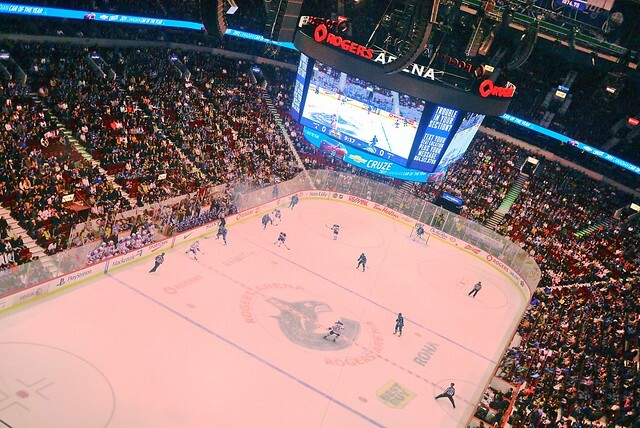 Social Media Suite Night: NHL Preseason – Vancouver Canucks 4, Edmonton Oilers 1 at Rogers Arena on October 1, 2011. 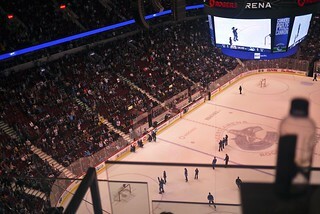 Last Saturday night, it was social media suite night in the Canucks private box high atop Rogers Arena. 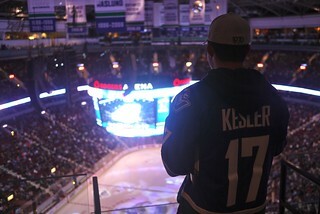 I was joined by a bunch of local bloggers and contest winners for some Hockey Night in Canada. The view from the fifth floor was pretty ridiculous. 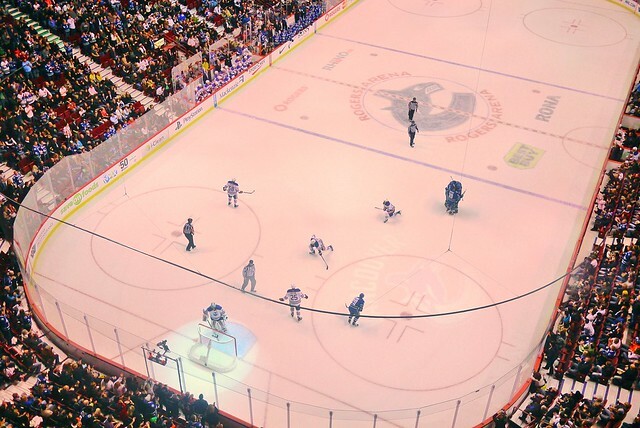 Everything was so clear and crisp from our bird's eye view. Thanks to social media coordinator Nicole Van Zanten for the invite. 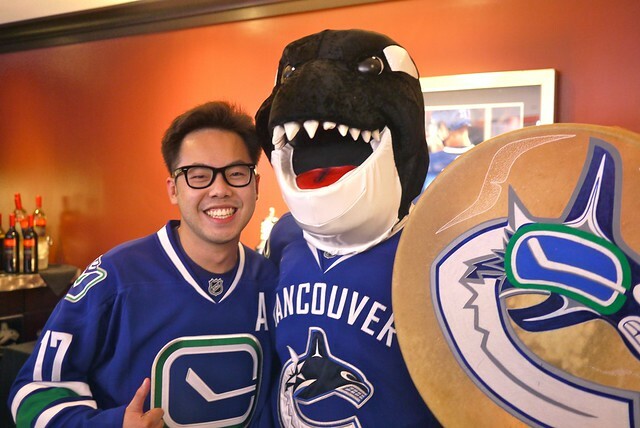 It was a fun time hanging out with the Canucks online community and getting pumped for the upcoming season. 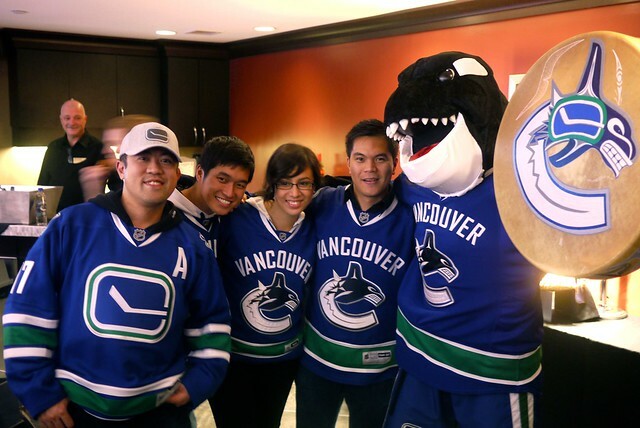 Fin, everyone's favourite orca mascot, even made an appearance in the private suite. 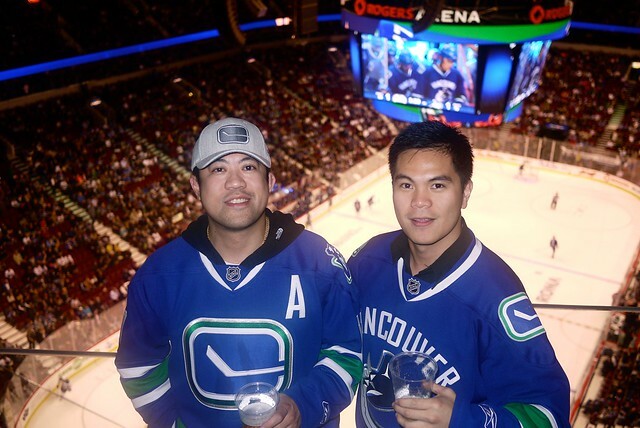 My compadres Dennis and Earl had a good time taking in the final preseason game. The regular season starts today. 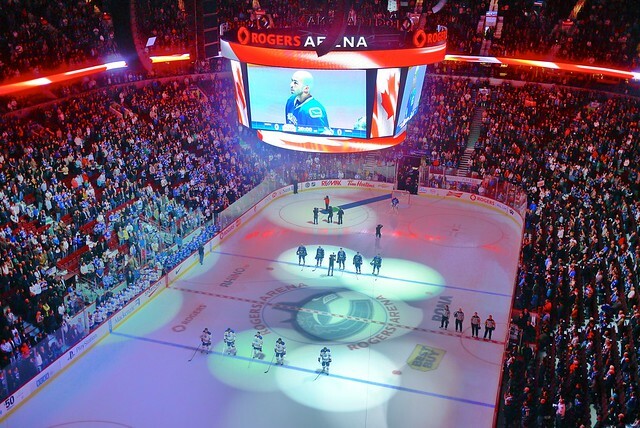 Hopefully, this is our year. 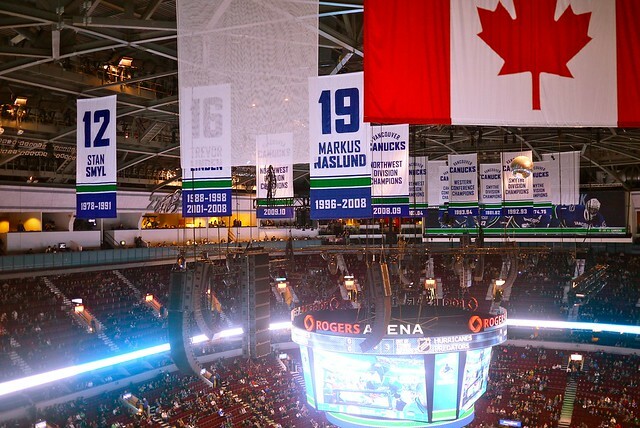 We Are All Canucks.